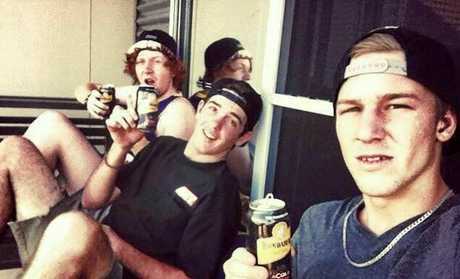 Family and friends remembered 21-year-old Jordan Brotchie at the first Memorial Jam at the weekend in Boyne Island. A YEAR ago Kellie Brotchie's family foundation was torn apart. Her sporty, skateboarding son Jordan Brotchie - also a father, brother and friend - took his own life, aged 21. "He was a beautiful kid, very well liked and sporty, but he suffered from a lot of demons," she said. "He left behind two children too, Cooper, 21 months old and Zhalyn who is now eight months old. She said Jordan's suicide had rocked his family, friends and the Boyne Island and Blackwater communities. Within six weeks of his death, his best friend Dan Capewell also took his own life, at the time leaving behind a two-week-old daughter. The pair were best friends at Blackwater, which Jordan called home before moving to Boyne Island in 2014. 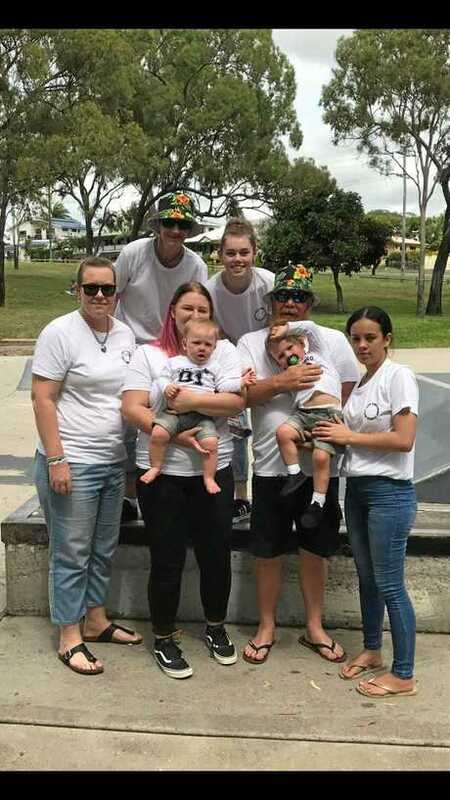 A year since his death, Jordan was remembered by friends and family as a "bit of a ratbag" who loved skating, at the first Memorial Jam at the Boyne Island skate park. "Losing a family member, especially your son, it's like losing the foundation of your building block of your family ... you can't replace that," Mrs Brotchie said. "We're pretty strong and united family though ... and we have beautiful family and friends who have been immensely supportive." 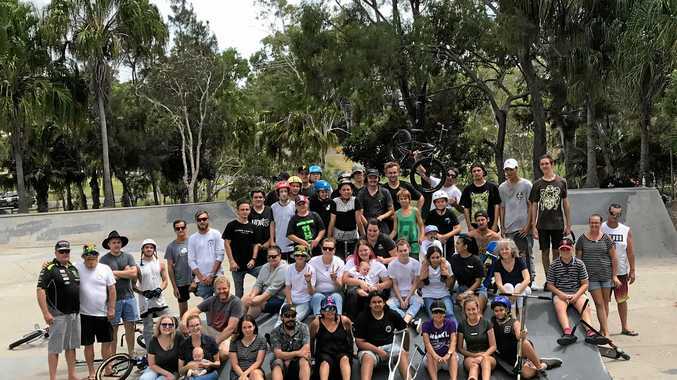 Organised by his friend Cobe Hansen, the event recognised Jordan's love for skating while also raising money for mental health services Headspace and Roseberry Community Services. It's hoped to become an annual event. "It's about touching base with other kids and letting them know there are places they can go, like Roseberry and Headspace, who are there for kids," Mrs Brotchie said. Mrs Brotchie wanted to raise awareness for support services in Gladstone. She said before Jordan's death the family was not aware of the not-for-profit groups and other mental health services available. 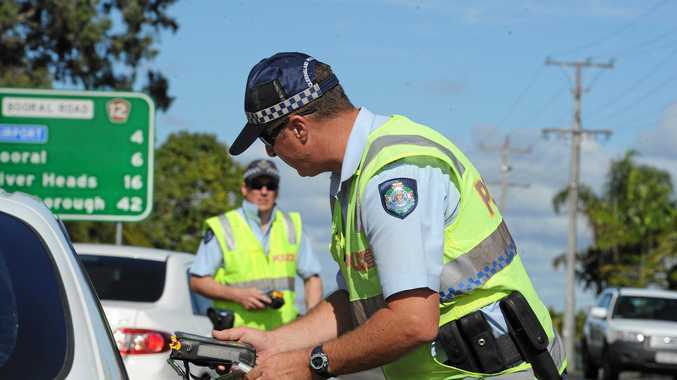 Mrs Brotchie said her son did reach out for help, but did not receive the support he needed. "We didn't know about Headspace and Roseberry before ... after it happened our daughter Kate went to Headspace a few times a week and it really helped," she said. Roseberry Youth and Family Service support worker Tina Bunge said hundreds of people access the organisation's mental health service. She said while the number of teenagers with depression was high, it was not higher than other towns or cities. Ms Bunge said donations towards Roseberry were used for extra resources to help support residents going through a difficult time.